(Herstal, Belgium) – January 19, 2017. Belgium-based FN Herstal, one of the world’s leading firearms manufacturers, has launched its newly-developed, self-powered FN SmartCore® shot counter for the FN SCAR® family of rifles based on breakthrough technology. For the first time in history, electronics is integrated into a product and generates its own power. 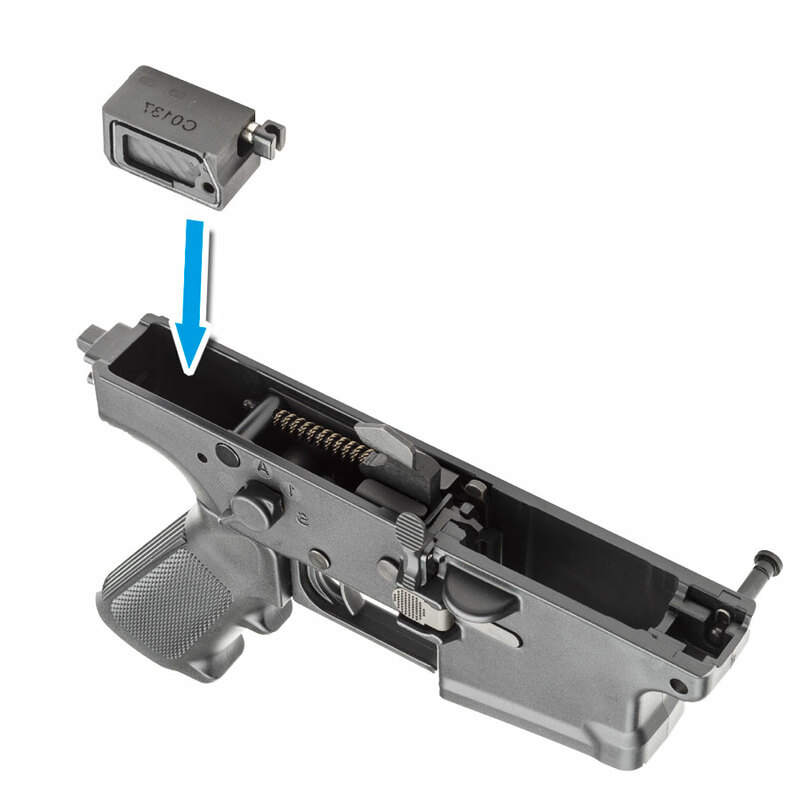 The new FN SmartCore® for FN SCAR® is a no-battery device located inside the lower receiver of the weapon and detects firing of the weapon by using the rearward movement of the moving parts – hence, requiring no battery and no maintenance. The FN SmartCore® shot counter uses fully automated software to provide precise information about a firearm. It can be defined as a firearm’s life memory as it acts as an electronic logbook of the maintenance history of the firearm and other user defined information. This includes the number of shots (blank, live and dry firing being discriminated), its base location, whom it is issued to and its operational condition. The FN SmartCore® can collect information automatically or upon request with absolutely no impact on the user’s mission. Any data is transmitted wirelessly at short-range only and upon request, ensuring it is undetectable and there is no unintentional emission. The FN SmartCore® can be housed in any rifle in the FN SCAR® family: FN SCAR® assault rifle (5.56 or 7.62) or FN SCAR® 7.62 precision rifle. A version of the FN SmartCore® is already available for the FN MINIMI® 5.56 and 7.62 light machine gun (also known as FN® M249 and FN® Mk 48 respectively). The FN SmartCore® plays a vital role in the FN® Small Arms Management solution. Using this unique, comprehensive solution dedicated to military and security forces increases operational availability of weapons, reduces life cycle cost, provides accurate and up-to-date information on in-and-out-movements of the weapons, and guarantees shared information through a network. All of these benefits combined contribute to the smart small arms management advocated by FN Herstal in its motto: ‘Enhancing capability through technology’. The FN SmartCore® shot counter is one of many innovative products in the FN® e-novation range, which integrates modern and cutting-edge technology to further enhance the capability and reliability of firearms. The FN® e-novation range also includes the FN® FCU fire control unit for 40 mm grenade launchers. The new FN SmartCore® and complete FN® e-novation range will be on display at IDEX, Abu Dhabi, February 19-23, 2017, and other tradeshows FN Herstal is attending throughout the year.